Pretty, shaded site along the riverbank near the picturesque village of La Motte de Chalancon, lots of water for swimming and fishing. 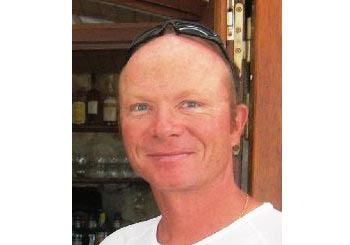 Lots of outdoor activities, river and canyons, traditional markets, sports facilities, pool, snack bar, entertainment. A green haven in a majestic natural setting. 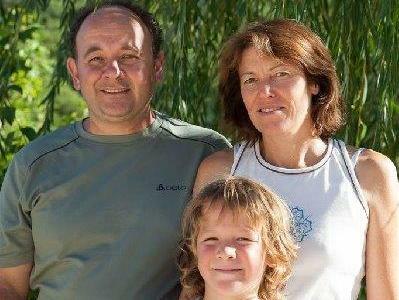 Ideal to discover Buis les Baronnies and the picturesque village of Pierrelongue, culture, heritage, sightseeing. Preserved natural space, relaxation, symphony of colors and smells, large and shady pitches, not far from the beautiful Via Ferrata and the surrounding festivals. 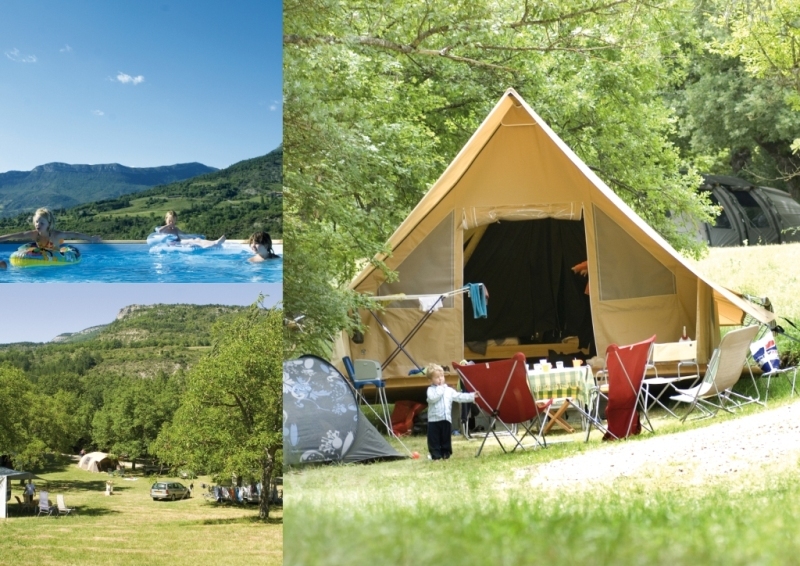 Calm campsite in an old, restored farm situated between a valley and the riverbank. 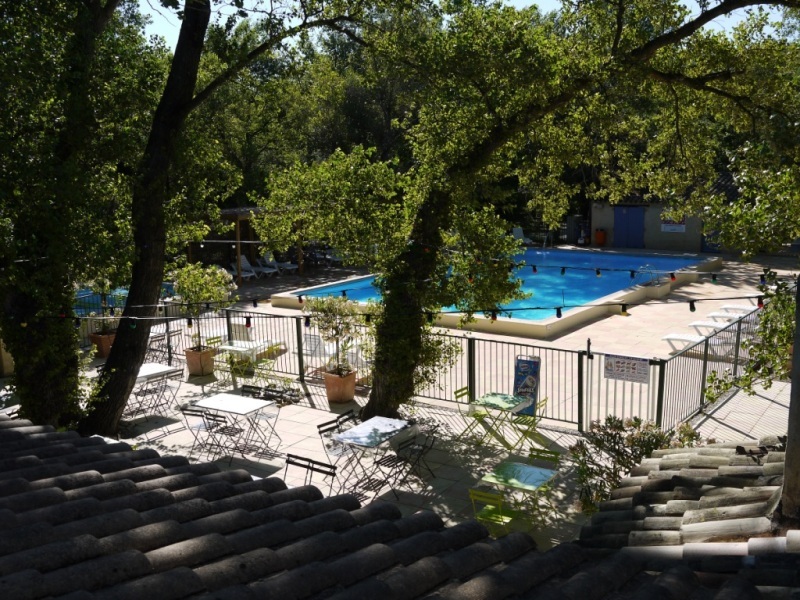 Located in nature around an old Provencal farmhouse with a beautiful aquatic area, a well maintained site and a warm and family-friendly atmosphere. Local culture and traditions, lavender harvesting, essential oil extraction, aquatic facilities for the whole family, outdoor activities, fun activities, authentic experience. 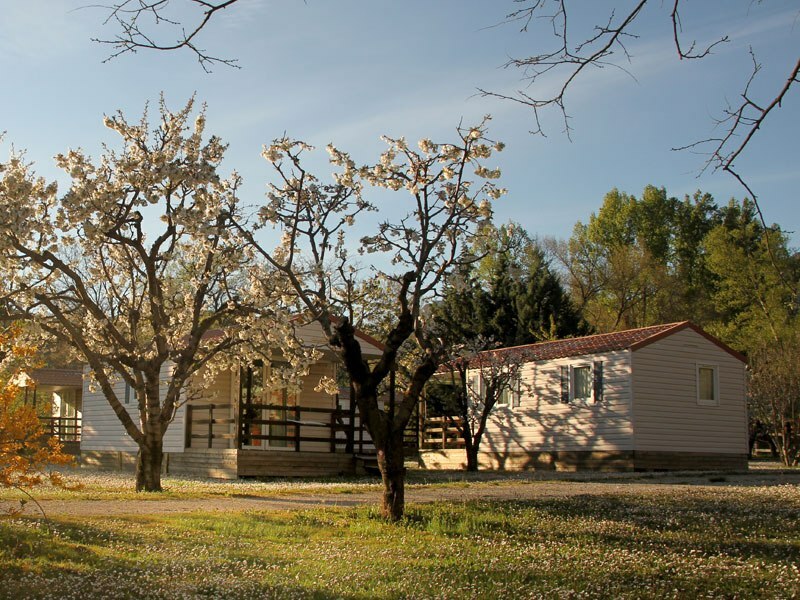 Family campsite, surrounded by olive groves, along the riverbank, calm and tranquil, 1km from Nyons. 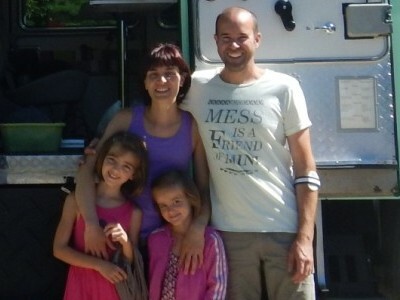 Family holidays, rest and relaxation, ponies, summer musical events in Nyons, outdoor activities. Calm, shady site in nature, cicadas singing, situated along the river with a beautiful pebble beach, close to Nyons. Sunbathing, swimming or lazing by the river, fishing, quiet location, relaxed atmosphere, restful and family-friendly, fun evenings. 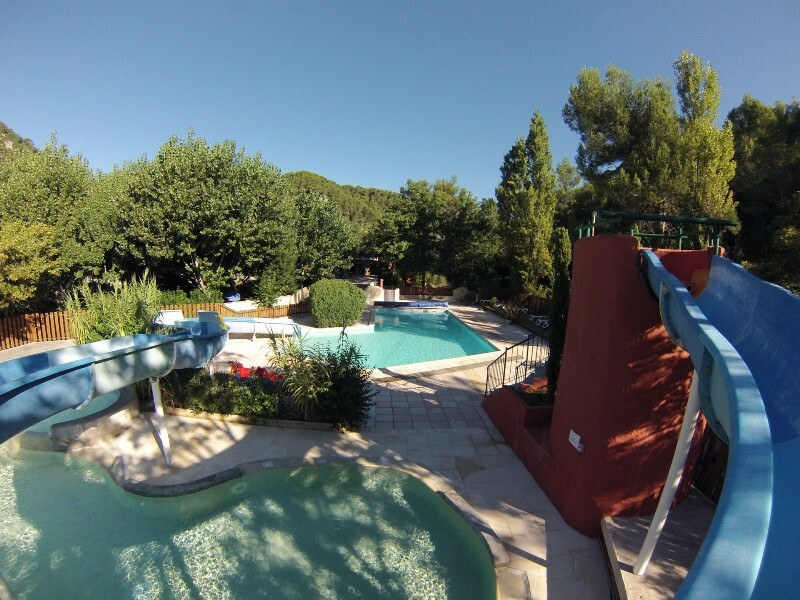 Situated at the heart of a property with cherry, apricot, olive trees, cycling getaways, hiking trails from the campsite, close to Buis Les Baronnies. 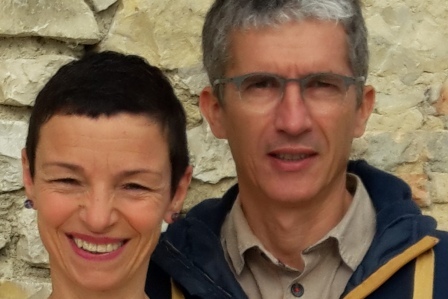 Walking and tasting walks on the farm: olives, wine, aromatic plants, hiking trails, mountain-biking, cycling, family water park, fun evenings, serenity, beautiful villages close by. Campsite open all year. 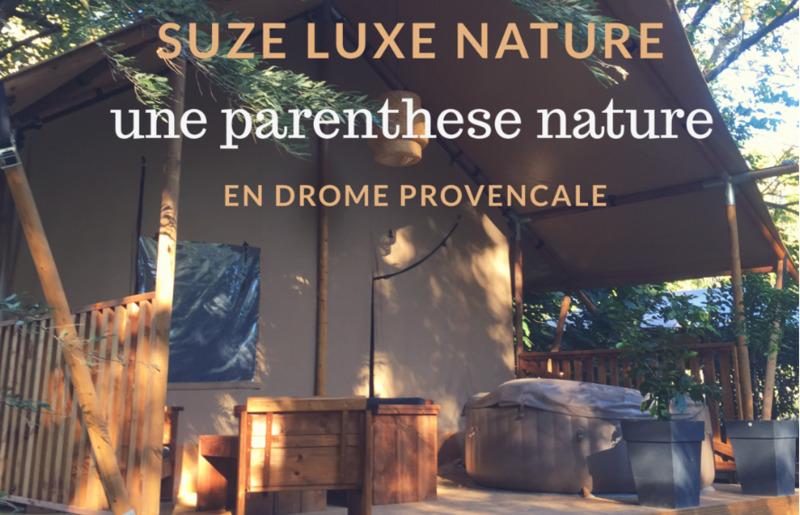 Large wooded grounds along the riverbank, comfort, shade, calm, close to Suze La Rousse. 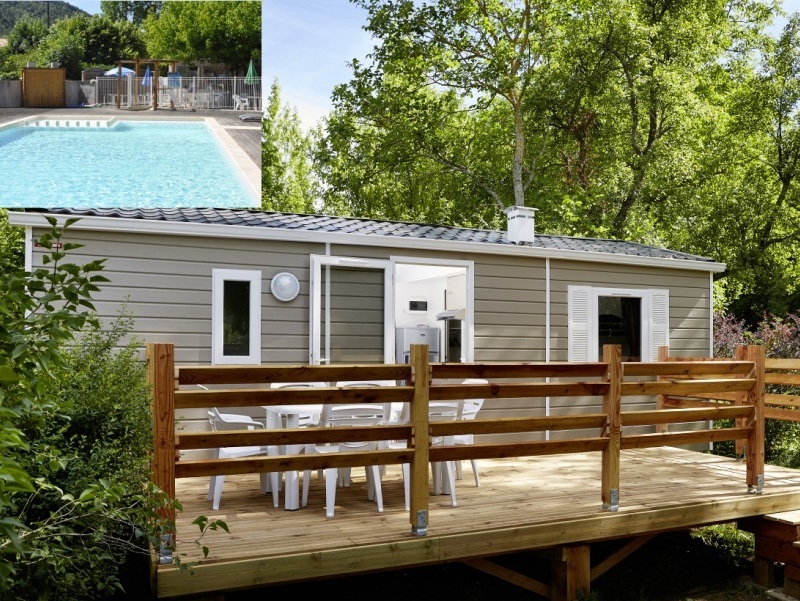 Spacious and shady pitches, activities and entertainment for young and old, fishing, restaurant with a varied menu, discover the region, month-long mobile home rental available. 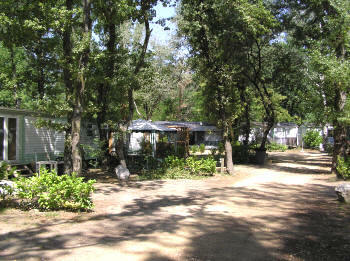 Terrassed campsite along the riverbank, panoramic view from the lavender and olive fields, holiday-village atmosphere. Activities for everyone, olympics, water sports, children’s club, entertainment staff, themed evenings, lively, fun and free atmosphere, gourmet tourism or exploration. 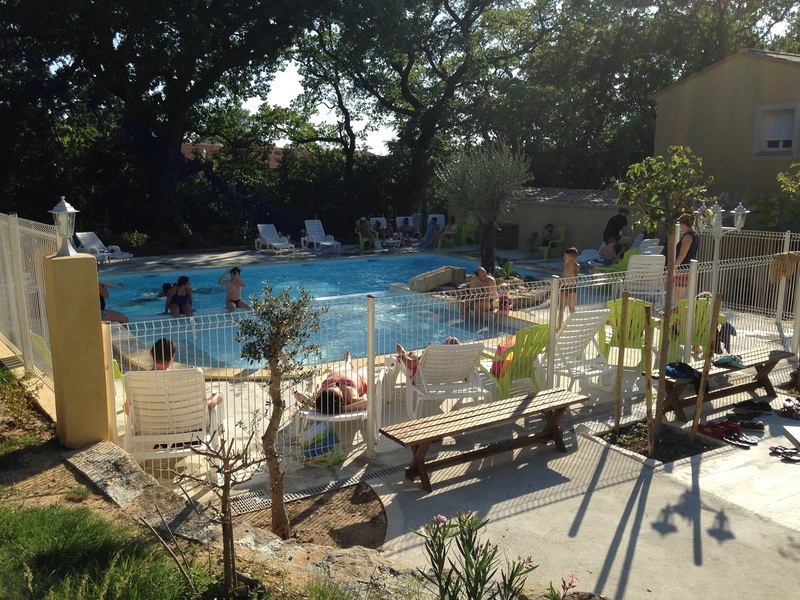 Shady pitches, heated pool, big, comfortable rentals close to the medieval village of Grignan. A calm place conducive to exploring and sharing. Ideal for novice hikers, cycling trips and for those passionate about history. The medieval village of Grignan is 1.5km away, concerts, theatre, festivals and night walks throughout summer. 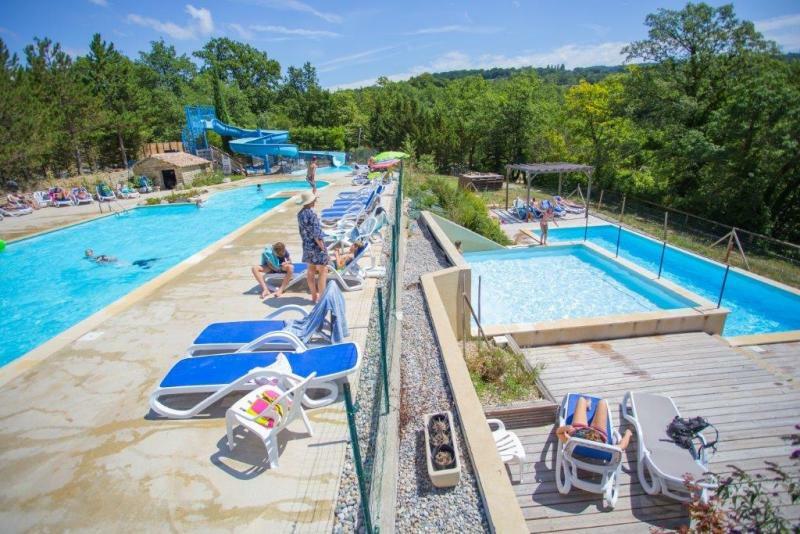 Pretty, family-run, authentic campsite in the heart of natural beauty and wonderful scenery, infinity pool that looks over the Valdaine plaines. Calm, comfortable, nice family atmosphere, large infinity pool, traditional and authentic food at the restaurant, dinner events with a music or show. 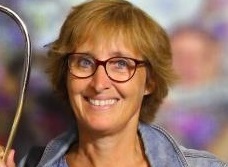 Outdoor activities and a children’s club. 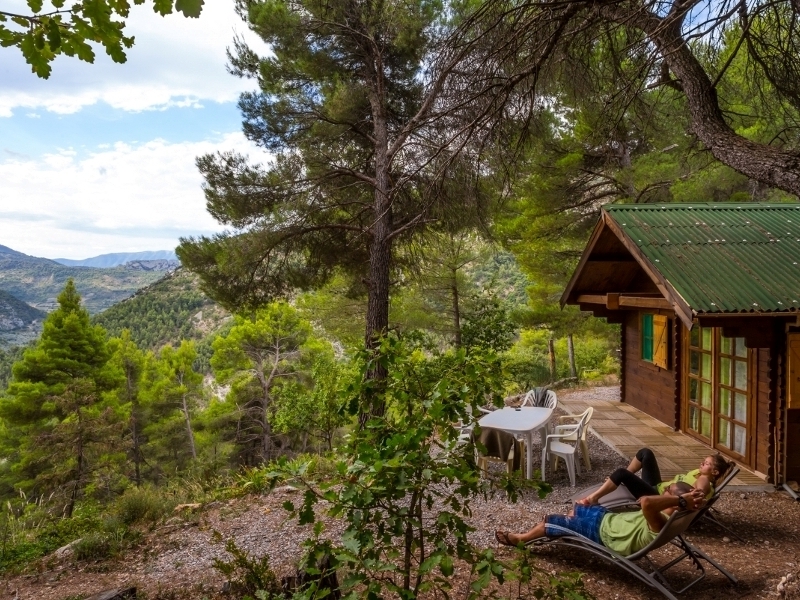 Share magical moments together in a calm and peaceful haven in the pretty region of Buis Les Baronnies. 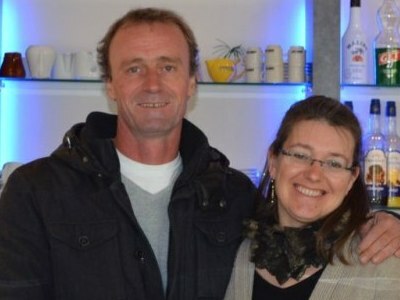 Culinary trips, musical getaways, equestrian shows, riding school nearby, improvised musical evenings, beautiful region. 500m from the historic center of St Paul Trois Châteaux. 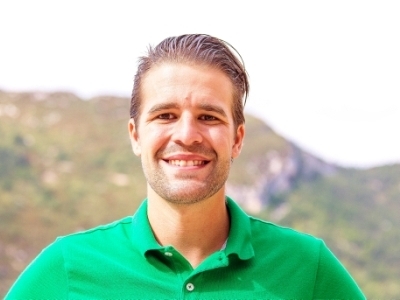 Sport, relaxation, heritage, gastronomy. 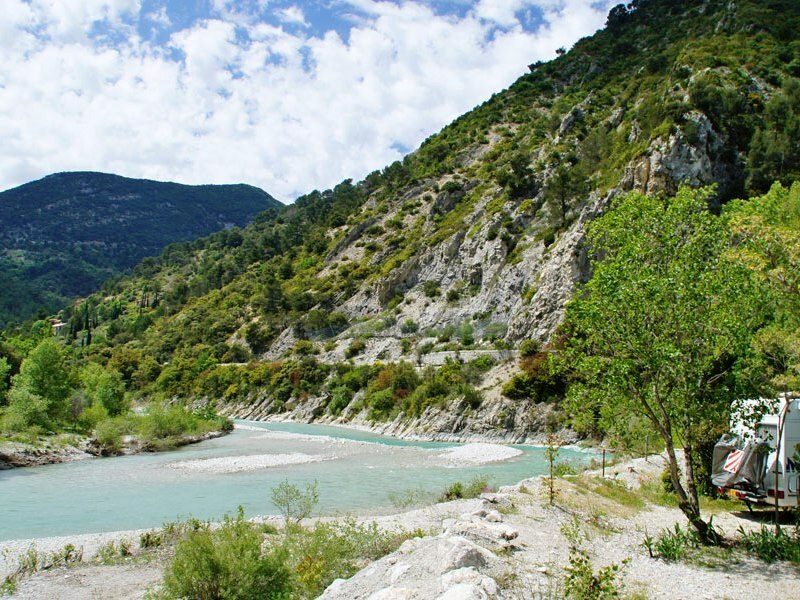 Ideally located at the crossroads of Drôme, Ardèche, Gard and Vaucluse, as many remarkable sites to visit. Nature, calm, conviviality, young and old are delighted. Hiking, bicycles, all the services and animations of the city nearby. Free access to the campsite swimming pool and the municipal summer pool. 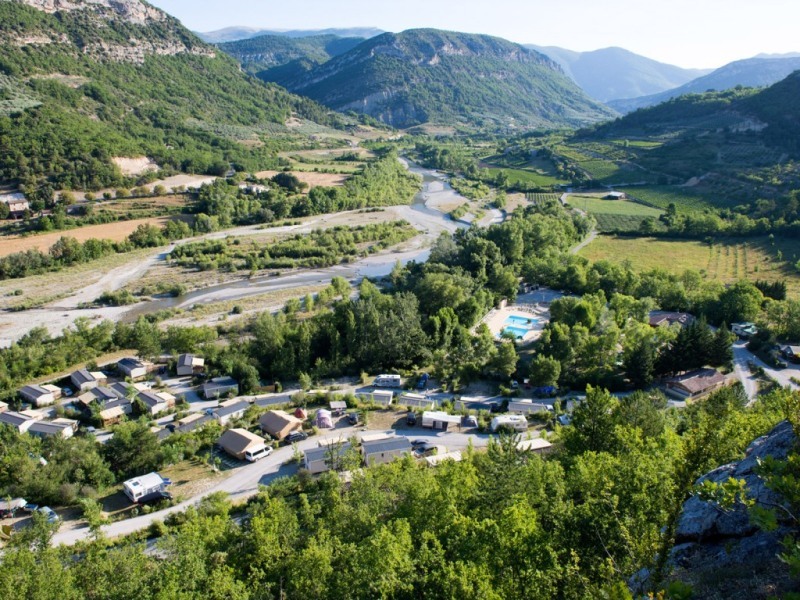 Calm and tranquil situated between the river and the mountains, spacious pitches in an ancient grove at La Motte de Chalancon. 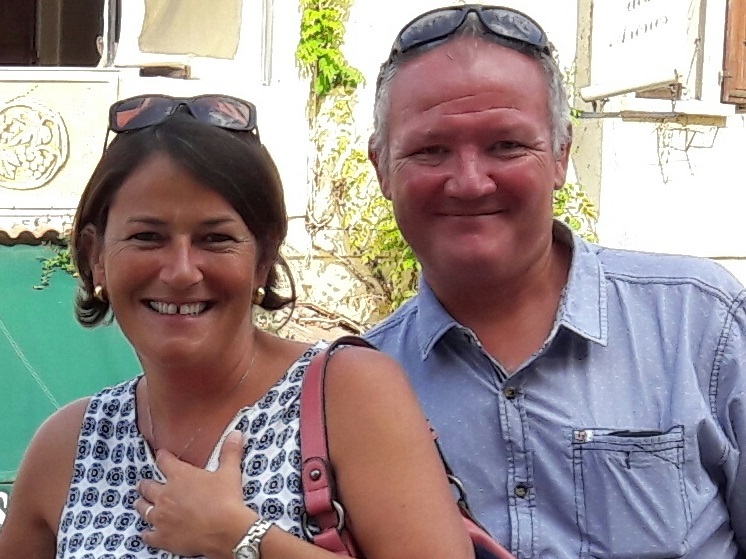 2 minutes walk from the village, lots of sport activities, childrens entertainment, pretty landscape, high standard sanitary blocks, bar, restaurant, pool, calm and relaxing. Family campsite in a green haven along the river. Spacious pitches separated by natural hedges. Wooded grounds, calm, fishing, nature sports all around, visit hilltop villages, wine festivals and concerts and events nearby. 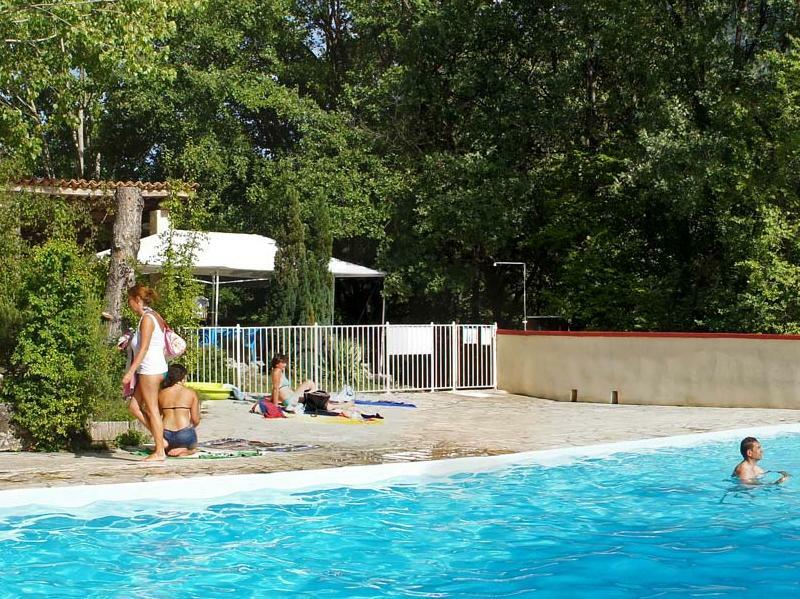 An ideal place for outdoor activities, natural wooded setting, family-friendly atmosphere, near Dieulefit. Find your true self...a green haven, a vast natural space between the river and the hills, tranquil and perfect for a relaxing or sporty time-out! Wild and preserved nature with dramatic landscapes. 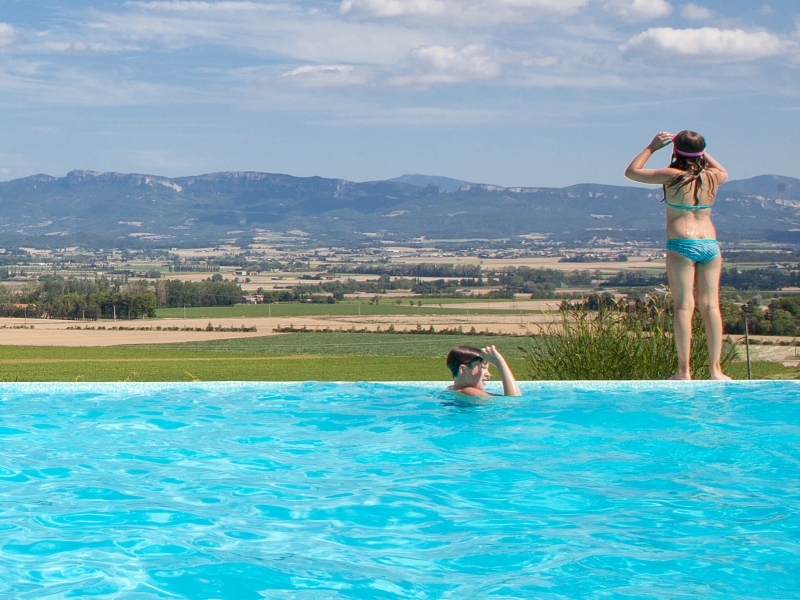 Pool with a panoramique view, warm atmosphere, free and fun, discover the local flora and fauna, bivouac area, local produce.